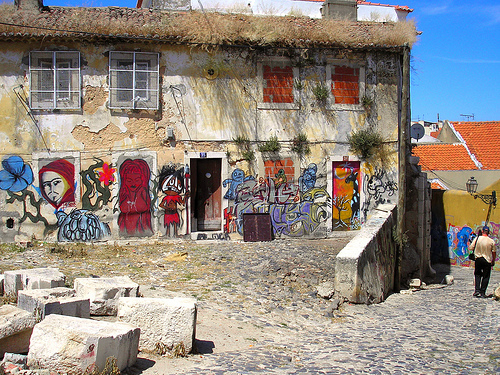 Portugal Portugal’s drug policy is among the most progressive in the world. In 2001, the Portuguese government voted to decriminalise personal quantities of all illegal drugs, while maintaining severe penalties for dealers and traffickers. The experiment has been globally hailed as a success, although it is not without its flaws. Portugal’s drug policy is among the most progressive in the world. In 2001, the Portuguese government voted to decriminalise personal quantities of all illegal drugs, while maintaining severe penalties for dealers and traffickers. The experiment has been globally hailed as a success, although it is not without its flaws. According to Portugal’s Law 30/2000, individuals found in possession of a ‘personal’ quantity of an illegal drug are not subject to arrest, imprisonment or financial penalty, but may be required to attend rehabilitation and recovery classes. If observed in the act of possessing or consuming drugs, an individual may be given a citation by police and referred to a panel of professionals who will determine the best course of treatment. The quantities defined as ‘personal’ vary according to the drug, and are generally intended to cover ten days’ worth of use. An individual may be in possession of up to twenty-five grams of herbal cannabis or five grams of hashish. As well as cannabis products, possession of up to two grams of cocaine or one gram of heroin, MDMA, amphetamine or methamphetamine is also tolerated. The law regarding sale and traffic of illegal drugs is far harsher. As Law 30/2000 was solely an amendment to the aspects of the previous drug law relating to possession, the aspects relating to sale and traffic remained unchanged. Thus, as stated in the Decree Law 15/93 of January 1993, sale or traffic of illegal drugs is subject to a maximum of twelve years’ imprisonment; however, if sale or trafficking is conducted to finance an addiction, three years’ imprisonment is the maximum sentence that can be imposed. Despite fears that the policy would lead to rampant drug tourism in Portugal, there is little evidence that this is the case. Indeed, purchasing cannabis and other drugs is reportedly far more difficult in Portugal than in many other European countries. In spite of this, the illicit trade in cannabis shows signs that it is increasing year-on-year. Throughout the decade following decriminalisation, seizures of cannabis resin steadily increased each year, with the exception of a significant decline between 2008 and 2009, from sixty-one metric tons to just twenty-three. The bulk of the cannabis imported into Portugal comes in the form of hashish from Morocco. 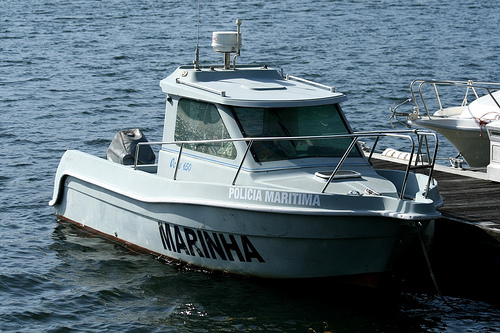 Portugal is also a significant transit point for hashish destined for the UK and elsewhere in northern Europe, and Portuguese authorities routinely intercept shipments traversing their territorial waters. The history behind the idea to stop prosecuting drug users dates back at least as far as the Carnation Revolution of 1974. 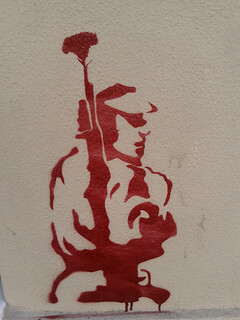 After almost fifty years of military dictatorship in Portugal under the Estado Novo regime, members of the armed forces regained democratic control in a military coup that was almost immediately reinforced by widespread civil resistance. No shots were fired during the course of the coup, and carnation flowers were placed in the muzzles of soldiers’ rifles as a symbol of peace. But liberation brought with it some unexpected consequences. Portuguese nationals returning from the newly-liberated African colonies such as Angola and Mozambique, who had become accustomed to using hashish and cannabis, brought their customs with them when they returned. Drug use began to be seen as a cultural by-product of liberation, an outward expression of the freedom the Portuguese now found themselves enjoying. However, the explosion in recreational drug use soon led to epidemic levels of problem usage, and numbers of heroin addicts in particular skyrocketed. In the 1980s, heroin from Afghanistan and Pakistan began to flood Europe. Although Portugal was not the only country affected, the nation suffered particularly severe consequences. Although absolute numbers of drug users stayed low compared to other European countries, an unusually high percentage of Portuguese people fell into the category of ‘problem drug users’. It is thought that this phenomenon occurred due to a range of factors, particularly a lack of preparedness on the part of the authorities, and the poor socio-economic conditions that defined everyday life for the majority of Portugal’s population at the time. During the mid-1990s, at the peak of the heroin epidemic in Portugal, as many as 100,000 individuals were thought to be addicted to heroin and other ‘hard’ drugs. An alarmingly high number of these addicts also became infected with HIV. At the time, Portugal’s total population was just below ten million, meaning that addicts made up almost a full 1% of the total. Addicts lived—and often died—in shockingly poor conditions, and the notorious Casal Ventoso slum on Lisbon’s outskirts became home to thousands of them. In 1998 an elite panel of experts, the Commission for a National Drug Strategy (CNDS; in Portuguese, the Comissão para a Estratégia Nacional de Combate à Droga), produced a report recommending major reforms of Portuguese drug policy, leading the country away from criminalisation of users and in the direction of harm reduction and decriminalization. 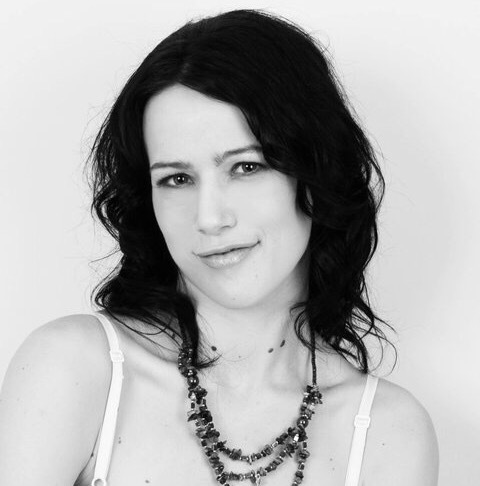 It was argued that incarceration was less cost-effective than rehabilitation and led to higher rates of reoffending, as well as driving addicts deeper into a criminal lifestyle. 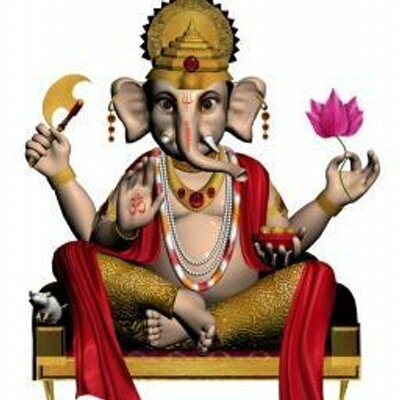 Surprisingly, the Council of Ministers approved the report and developed a national drug strategy that followed its principles and directives almost to the letter. By 2000, the strategy was finalised and ready to be implemented. 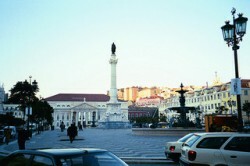 Portugal’s Council of Ministers and parliament, the Assembleia da República, passed a set of legislative changes to accommodate the new national strategy, the most significant of which was the decriminalization law that took effect in July 2001. While the new policy decriminalised personal use, Portugal continues to recognise the illegality of the drugs themselves—a key consideration, as full legalisation would have contravened the terms of the U.N. Single Convention on Narcotic Drugs and potentially incurred widespread international censure, much as Uruguay and the U.S. states of Washington and Colorado are currently experiencing. As well as tolerating personal quantities of drugs, the Portuguese authorities are actively involved in rehabilitation of users and addicts. People found in possession of personal quantities of drugs are now sent for assessment by a panel consisting of a psychologist, a social worker and a legal advisor. The panel then issues a recommendation for treatment, which the individual may choose to refuse without incurring punishment. There are various means by which the Portuguese authorities seek to rehabilitate drug users. Methadone is widely prescribed as a substitute for heroin, needle exchange schemes are provided to reduce the chance of blood-borne infections, and safe places for addicts to rest, eat and sleep have been established. The Casal Ventoso slum has been destroyed. 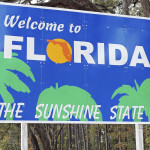 Although heroin is the primary focus of rehabilitation efforts, special outpatient programs for cocaine and cannabis use have also been established. Although the committee cannot impose compulsory treatment, it has the power to mandate sanctions on drug users that do not follow their treatment guidelines, and may in some cases impose sanctions even if the user agrees to the recommendations. The limits defined as personal use are arbitrary, and often fall far short of meeting the needs of heavier users. While twenty-five grams of cannabis every ten days is more than sufficient for the majority of cannabis users, other limits are far more restrictive. In particular, many heavy cocaine users use more than two grams of cocaine daily; thus, their risk of arrest and penalisation is far higher when carrying an amount truly intended for personal use. Media coverage of drug use is biased and often inaccurate. Typically, if a report of an arrest for drugs is published, the number of individual doses of the drug will be specified; often, what is deemed an ‘individual dose’ is excessively small. For example, one report stated that 46.2 grams of cannabis and ‘other narcotics’ equated to 500 individual doses. Although a Portuguese resident is ostensibly able to consume drugs as desired with no repercussions, in practice, the reality is somewhat different. Depending on which region of Portugal one is in, the approach on the part of the authorities can vary, and a range of sanctions may be imposed. Being found in possession of illegal drugs, even those demonstrably intended of personal use, may incur a fine of between €25 and €150. As well as this, guilty parties may be subject to various curtailed freedoms including bans on foreign travel, bans on visiting specific places and associating with specific people; withdrawal of the right to carry a gun, confiscation of personal possessions, and suspension of the right to practise a licensed profession. Drug users may also be required to make regular reports to the sentencing panel, and may also risk losing public subsidies and benefits if in receipt of any. Thus, even though Portuguese residents are not subject to prosecution, the negative consequences of drug possession can have a great impact on an individual’s life, and may even exceed those of other countries where criminalisation still occurs. It is thought that the potential negative consequences of drug use in Portugal remain a sufficient deterrent to most Portuguese, partly explaining the fact that drug use has not grown significantly since 2001. Other critics of the scheme suggest that the abundance, availability and widespread social acceptance of drugs reduce the possibility that Portugal’s young people will stay away from drug use and its potential negative consequences. Such opponents of the scheme also argue that the issuance of methadone to heroin addicts is a poor way to approach the challenge, and that cold-turkey withdrawal methods are superior and overall more effective. One notable critic of Portugal’s drug policy experiment is Dr Manuel Pinto Coelho, a physician who formerly ran rehabilitation clinics and has authored several books on the topic of addiction. He firmly believes the current experiment to be misguided, and his speeches on the international circuit have been well-received by some—particularly the U.S. Office of National Drug Control Policy. However, he has little support within Portugal, as the prevalent mood is that the experiment is working, borne out by falling numbers of addicts and problem users. Although arrests for possession of are rare, there have been several arrests made of cannabis farmers whose plantations were small-scale and arguably intended for personal consumption. Arrests for cannabis cultivation are most common in the Algarve region of southern Portugal. In 2012, two foreign nationals aged 52 and 53 were arrested in two separate cases of cultivation, involving just sixteen and eighteen plants. However, although plant numbers may be low, the individual plants are often grown outdoors and may reach heights of two to three metres, and are capable of producing substantial quantities of cannabis. In September 2013, a crop of thirteen cannabis plants was seized in the Algarve; each plant was over two metres tall and weighed on average eleven kilograms. After drying and trimming, the plants could have yielded up to a kilogram of herbal cannabis each. Cultivation of cannabis is illegal in Portugal, and the risk of prosecution remains high. Even if quantities grown are small, it can be extremely difficult to prove that the amounts under cultivation are intended for personal use, and as such, prosecution may still occur. As well as legal repercussions, use and cultivation of cannabis and other drugs is not fully socially accepted throughout Portugal, and the risk of ostracism in one’s community remains present. Despite this, Portugal has a small and dedicated community of underground growers, who mostly cultivate for personal use. In 2003, an amendment to the Portuguese drug law was implemented, effectively criminalising the possession or sale of any form of cannabis seed that had not been certified as industrial hemp seed. Sale of tools and equipment for the purposes of cannabis cultivation is also prohibited. Production and sale of industrial hemp products is legal, and a small number of stores selling hemp products are currently trading. 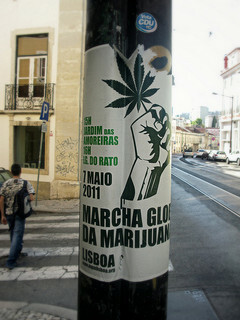 After more than ten years of decriminalisation in Portugal, the left-wing political party Bloco de Esquerda proposed the implementation of a Cannabis Social Club model in 2012, similar to those that are now developing in Spain and the UK. However, the proposal was not put to parliamentary debate and was eventually abandoned; there are apparently no new proposals in the pipeline. While the campaign for legal cannabis cultivation is not as well-defined in Portugal as in many other European countries, a small movement does exist. Horta de Couve is a small collective of growers that seeks legalisation of cannabis in Portugal. While use of hard drugs appears to be on the decline in Portugal, there has been a slight increase in the overall prevalence of cannabis use since decriminalisation was implemented. Recreational use is forbidden by law, but it appears that its use is generally socially accepted, although more conservative areas may be less tolerant. Since implementing its harm reduction and decriminalisation policies, Portugal has made remarkable progress in reducing its number of problem drug users. The number of injecting drug users has halved, and overall drug use is now lower than average compared to other EU countries. Hashish and cannabis are surprisingly difficult to source in Portugal; although street dealers often offer it to tourists, their product is usually poor quality and overpriced. To find good quality cannabis, one must have a good source of supply or must make discreet enquiries at local ‘smart shops’, which officially trade in herbal substances and supplements but often carry small amounts of hashish, magic mushrooms and other illicit drugs. The cost of cannabis and hashish in Portugal varies according to quality and availability. Twenty-eight grams (1oz) of cannabis typically costs between €100 and €170, although in areas of high availability such as the Algarve, prices may be lower. Hashish is far more widely available than herbal cannabis, as it can be imported in vast quantities from Morocco and neighbouring Spain. Local names for cannabis include erva, burlite, canhão, ganza and bula. 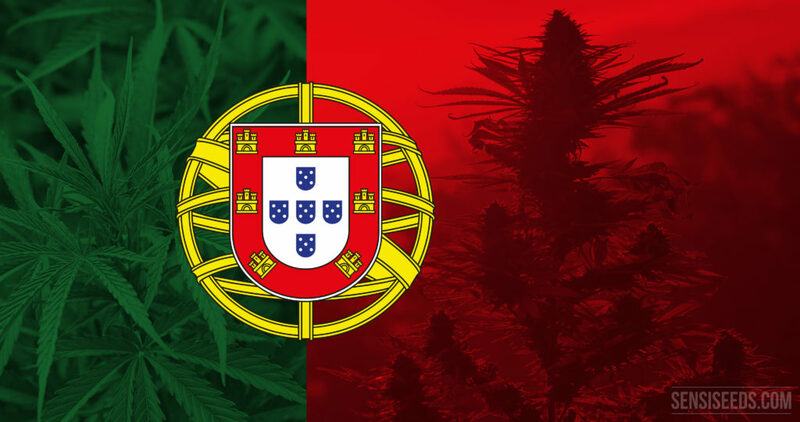 What next for cannabis in Portugal? The policy of decriminalization has increased in popularity in Portugal since 2001. Aside from a handful of reactionary politicians and media figures, there is little real opposition to the scheme, and no substantial debate over whether drugs should be criminalized once more. Furthermore, the scenarios envisaged by opponents of the policy, such as rampant drug tourism and spikes in drug addiction, have not come to be. Indeed, as support for legalisation of cannabis and for an end to the global War on Drugs grows throughout the world, more and more countries are turning to Portugal as a model on which to base their own reforms. It is important to document the history and current events of the ongoing drug war that continues to affect the lives of so many people throughout the world. For this reason, Sensi Seeds and the Hash Marihuana & Hemp Museum in Amsterdam aim to provide the most accurate, up-to-date and unbiased information on the present situation, country by country. We welcome your comments, feedback and corrections. Thanks for the nice article! 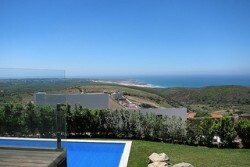 i am a Dutch/American currently in Portugal looking for a place to settle... either here or in Spain... with all the different considerations, Portugal seems perfect... but any suggestions with the laws in Spain will be helpful!! where abouts in algarve can i get it from, do.you know of any shops cause i fly there in 12 hours and it would be amazing if i could get it?!? t his photo is from patio dom frederique, castelo sao jorge, lisbon. I live there 35 years ago, have a nice day everbody. Nice article, but i think you got a wrong photo this photo is from patio dom frederique, cause i was been there 3 years ago. Thank you for your comment, I'm glad you enjoyed the article. A few people have pointed out that this photo is not correct, and I will be fixing this as soon as possible. Hi! Great Post, I love to read articles that are informative and actually have good content. Thank you for sharing your experiences and I look forward to reading more. Cannabis enthusiasts are never going to be happy with laws even though personal use is legalized no matter how much people pleasing that still goes on in government -except those who enjoy preferential treatment and good incomes while using Cannabis. 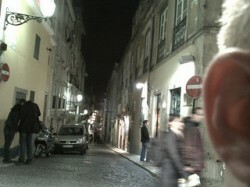 Why can't I find a dispensary listing for lisbon portugal anyplace? There are no dispensaries anywhere in Portugal. It is decriminalized not legalized. Where can I buy Sensi Seeds products in Portugal (oil, capsules)? You have indicated a place in the map but no address. Can you provide the address please?